If you thought that Port Moody was an unlikely place to find outstanding roti, then be prepared for more strangeness. Well, the fact that you can drive leisurely without fear of someone stealing your parking spot is probably odd enough; but hey, we're not in Richmond! Something straight out of "it should be on Robson Street", Cake-ya exists where you least expect it to be. Yes, it is a Japanese bakery/dessert shop located on the backside of the major thoroughfare (St. John's) on Clarke Street. It churns out delicious treats in an extremely non-descript storefront. There are 2 reasons I know this place exists. First, the good folks at Foodosophy told me so. Second, Guy Smiley treated me to a bunch of their Purin or Japanese pudding, which resembles a Creme Caramel; but is steamed, not baked. 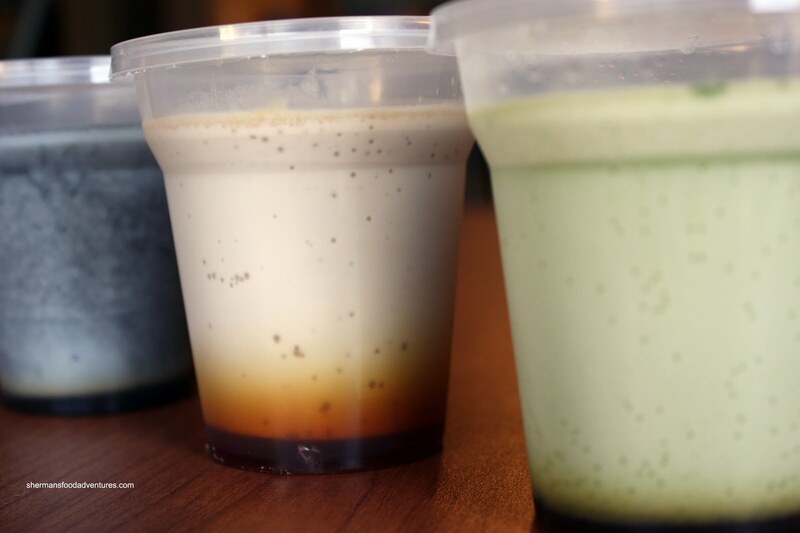 OMG, these cups of creamy awesomeness blew me away. The reason? I wanted to eat more of it, much more. 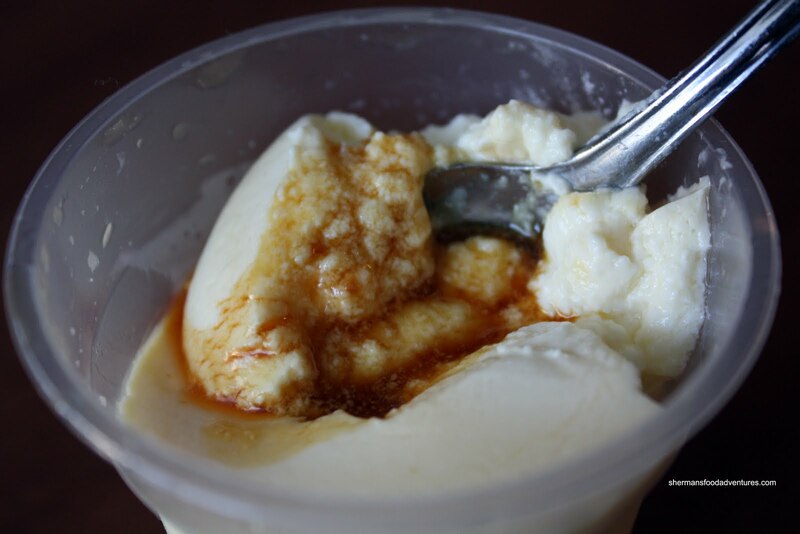 The custard is smooth, only semi-sweet and the caramel sauce has depth with a beautiful burnt essence. Other than the regular Custard, you can choose from Matcha, Coffee, Cheese, Black Sesame and Milk Tea. My favourites are the custard and cheese. T he other flavours are indeed good, with an excellent infusion of flavours; but I'm somewhat partial to the more plain flavours. It is somewhat consistent with my love for vanilla ice cream and regular potato chips. Call me boring; but that's how I like it. The price for one Purin is $2.50 and if you get 6, it'll be somewhat cheaper at $13.99. If you do get 6, that is exactly the amount of flavours they have, so you can try them all this way. LOL Kim. I think YOU should go visit Cake-Ya! Definitely another strange location, different food phenomenon. But this time, I assure you that there is no hype. In fact, I don't even know if most people know this place exists! Oooh, another japanese bakery to try. The purin, fresh daifuku and strawberry roll would be a must for me. I'll definitelý add it to my gps list of places. Btw, have you tried Kei's Bakery on Burrard (2351 to be exact)? They have some interesting japanese/european style breads. I especially like their earl grey and matcha cream buns. You also have to be there early for the favourites as they only bake in small batches for the day. This is great - thanks Sherman! 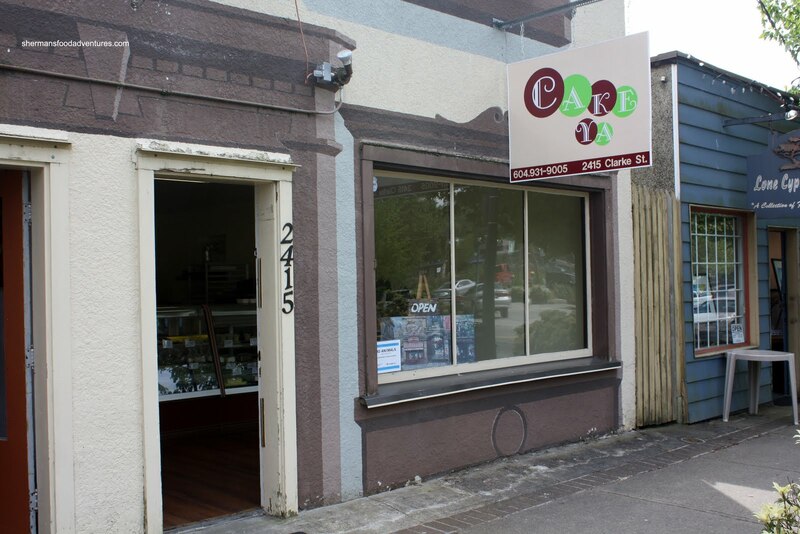 My parents are in Coquitlam and will love to hear about this place (my dad's dad owned a bakery in Japan). I'm sure it will bring back wonderful memories for him. Thanks for the tip! hey, this place is really close to my old piercer. if i had known... i would have been celebrating new piercings with strawberry cheesecake! even the bread looks tasty... sometimes about japanese bakeries. their bread is always soft and chewy. i like a good crusty bread too but sometimes i crave japanese bread. I read your review in the morning and went to Cake ya with my family today! Cheesecake Shortcake Daifuku we had it all. I like the fact that their items are not too sweet. My favourite thing was the Sweet Potato Tart. I also saw them baking cream puff pastry today.. should've asked if they were going to sell those. I took a sample of the pudding as well.. It wasn't as good as I thought it would. It needs to be more sugary. Yah, I guess it's personal preference. I like the purin to be less sugary since the caramel at the bottom is sugar anyways. But once again, it depends on what each individual likes! Holly, I haven't! I will try, thanks! Ah, Kei Bakery! That was the place I checked the one time we went to Bistrot Bistro but, alas, they were on holidays... And, if you thought these guys close early, the people from Kei close even earlier! Oh man, too bad it's so far. 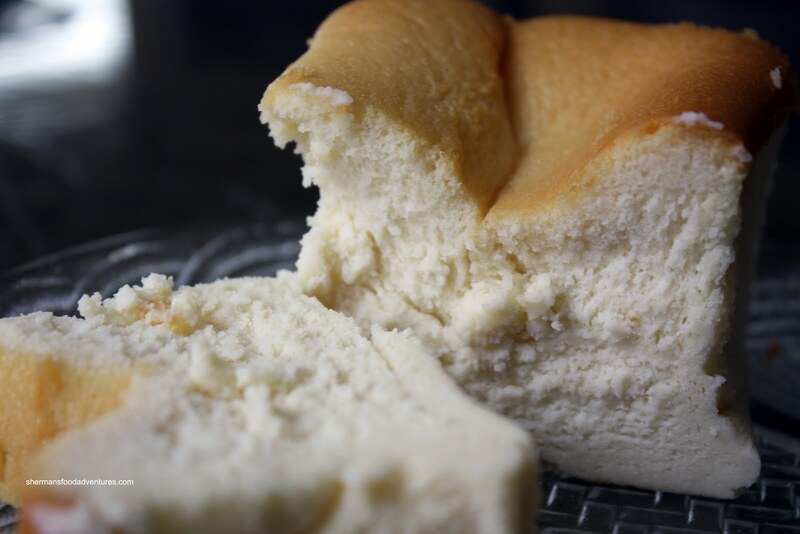 Steamed custards are awesome, the texture is always so smooth compared to baked versions. ever since I read the post on Foodosophy, I been wanting to try it out. But I don't want to drive all the way out to Port Moody just for that. Yah, Jenny it is worth it for the Purin alone! Not sure about Rehanah's though. It's been closed all week for some reason or another. would they have gluten-free items there do you think? I had a lot of great desserts in japan that were rice-based. Hi Nikita, I know that their mochi balls are made of rice flour. But I know that the other cakes do use wheat flour. 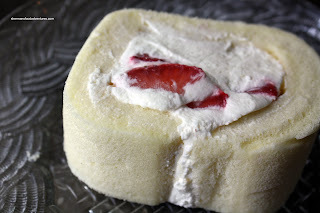 I tried their home made daifuku, purin and strawberry roll. 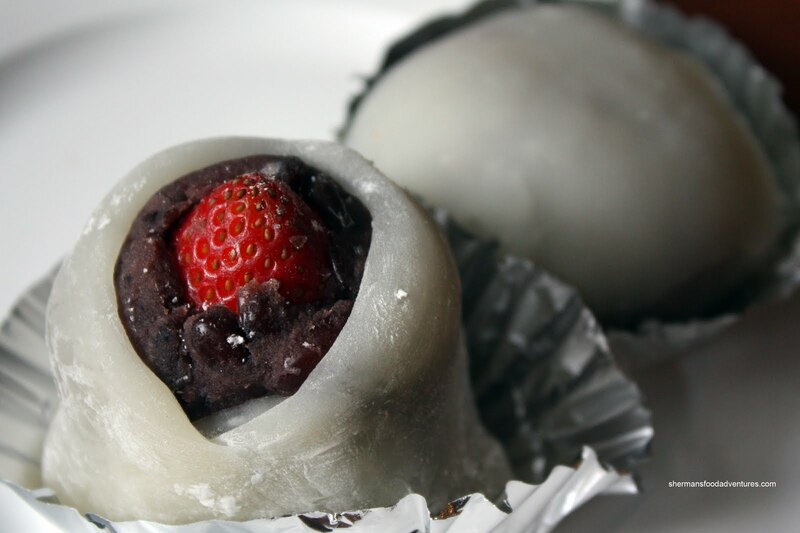 The daifuku was interesting, combined with a fresh strawberry or hand peeled chestnut. While I liked the chewy mochi texture, I thought the red beans could have been cooked a little more. I suggested they make a shave ice dessert with their adzuki beans for the summer. This would be an awesome addition. The black sesame purin left a very nice after taste in the mouth and the strawberry roll was very light. Perfect after a roti from Rehanah's. Next time, I want to try their mont blank (chestnut roll), earl gray purin and other tarts. Actually, the 20 minute drive from Vancouver wasn't bad at all. Love my gps. Stopped in at Cake-Ya the other day (after reading about it here) and picked up several things - all of which were enjoyed. I particularly liked the Black Seasame Okinawa shortbread cookies (just divine) and the Very Berry Roll (Strawberries, Blueberries & cream cheese) which was wonderfully delicate. This little bakery is a gem!